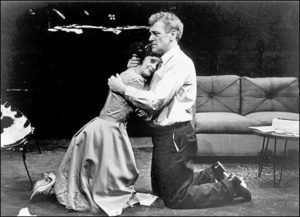 John Mahoney, who died today at the age of seventy-seven, was an actor whose talents were discovered comparatively late in life—he became a member of Chicago’s Steppenwolf Theatre Company in 1977, having previously worked as an English teacher and the editor of a medical journal—and who was known throughout the first part of his career only to those fortunate enough to have seen him on stage. Fortunately, their numbers increased considerably as a result of his appearance in the original Broadway cast of John Guare’s The House of Blue Leaves, one of the most important American plays of the postwar era, for which he won a Tony Award. In part as a result of The House of Blue Leaves, Mahoney started appearing in movies, many of which, like Moonstruck and In the Line of Fire, were both popular and of exceptionally high quality, and in 1993 he became a charter member of the cast of Frasier, which made him famous. 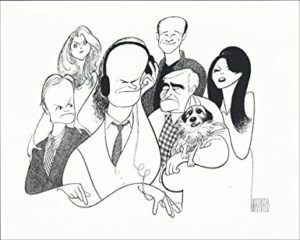 John Mahoney, who plays Sharky’s older brother, is a longtime Steppenwolf ensemble member who is better known to TV viewers as Martin on “Frasier.” The grumpy charm with which he invested that now-familiar part is nowhere to be seen on stage in Chicago: Instead Mr. Mahoney shows us an angry, querulous man who is trying to come to grips with his mortality, and does so with glittering precision and economy. When he cries “I have so little left to live for” midway through the first act, you’ll shiver with sympathy. A lifelong bachelor, Mahoney lived quietly in Chicago, a city for which his affection never diminished in the slightest. He mostly kept himself to himself, though he did confess in 2008 that after a bout with colon cancer that forced him to have a colostomy, he was no longer comfortable with physical intimacy: “I’m very happy by myself and with my friends, but no, I’m definitely not involved with anybody. Nor do I ever look to be.” It was a surprisingly frank and poignant admission for a man who was content to stay out of the spotlight, living for the work he did so well. I always hoped to see and review Mahoney again, but the opportunity never came, and the news of his death made me feel as though I had lost a friend. Fortunately, he left behind ample evidence of his talent, of which posterity will be in no possible doubt. He was the very model of a great character actor, and he will be very greatly missed. Chris Jones’ Chicago Tribune obituary is here. Needless to say, I now know Jerome Preston Bates quite well. 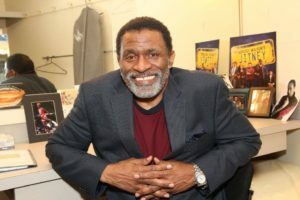 He’s a seasoned performer who, among other relevant things, understudied John Douglas Thompson, the best known of all the actors who have done Satchmo to date, in the 2017 Broadway revival of August Wilson’s Jitney. I realized as soon as I spoke to him on the phone that I’d gotten lucky, and the events of the past week have done nothing to alter that first impression: Preston is a perfect colleague, a quick study, and an all-around good guy with whom it is pure pleasure to work. I have no doubt that he’s going to be fabulous when we open in Houston on February 28. As for the Alley, one of America’s top regional theaters, it’s seen its own share of troubles in recent weeks. To date, though, my own experiences with the company have been wholly satisfactory. Everybody there is doing everything possible to smooth the road to opening night, as are the members of the design team, all of whom I know well (they worked on several previous productions of Satchmo) and esteem without reserve. So yes, I’m having a good time. If anything, that’s an understatement. I knew after I made my professional directing debut with Palm Beach Dramaworks’ 2016 production of Satchmo that I wanted to do more stage directing. To be sure, I didn’t expect my second gig to be another Satchmo, much less that I’d be forced to take up the reins under extreme pressure, but I seem to be thriving anyway. I’ve even managed to keep up with my day-to-day work for The Wall Street Journal and Commentary—I wrote three pieces from scratch and saw a show last week—and it looks like I’ll make it across the finish line without breaking anything. All that said, I suspect that some of you wonder what impact my work on Satchmo is having on my most important job, which is the care of my beloved spouse. Mrs. T, as I explained in this space in November, suffers from a rare disease called pulmonary hypertension. Her condition has deteriorated significantly in the past year, enough so that she was put on the active waiting list in November for a double lung transplant at New York-Presbyterian Hospital. In addition, she’s about to be cross-listed at Philadelphia’s Penn Transplant Institute, which is where we expect the actual surgery to take place. To that end, I stopped traveling by air as soon as Billy and Me, my second play, opened in Florida in December. I’ve been with Mrs. T ever since. How, then, can I possibly justify going to Houston to direct Satchmo at the Waldorf? The answer is that we got dumb lucky. 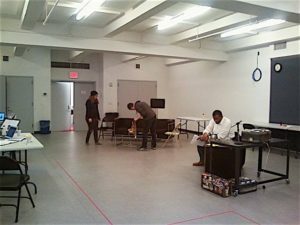 It happens that the first two weeks of rehearsal for Satchmo were already scheduled to take place not in Houston but in a Times Square rehearsal studio. This means that I won’t be hitting the road until February 15. We open thirteen days later, and I’ll fly straight back to New York the next morning. As those of you who’ve read about Mrs. T’s illness will recall, there is currently a shortage of donor lungs in the New York transplant region. It’s serious enough that there is no realistic possibility at present that she will be transplanted at New York-Presbyterian. That’s why we’re cross-listing her in Philadelphia—and the process of listing her there won’t be finished until a couple of weeks after Satchmo opens in Houston. 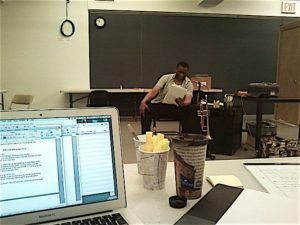 We were equally lucky in another way, which is that the press previews for the three off-Broadway plays that I’ll be reviewing during the rehearsal period for Satchmo are all set to take place while I’m still in New York. As a result, I won’t have to fly from Houston to New York and back again to see a show in between rehearsals. I had to do that twice while I was working on Billy and Me, and it was…well, a bit hectic. Under any other circumstances, of course, I would have turned down the Alley without thinking twice. But it was clear to both Mrs. T and me that the stars were in alignment, and she insisted that I say yes to the offer, pointing out that her family in Connecticut would be more than happy to look after her during my brief stay in Houston and could easily drive her to New York in the highly unlikely event that the Big Call should come in my absence. Mrs. T is (shall we say) quite an insister, so I called up the Alley that night, and two days later the company announced that I’d be staging Satchmo. All of which brings us up to the present moment. As of this morning, we have six more rehearsals left in New York. I’ll drive up to Connecticut after Sunday’s rehearsal and spend three nights with Mrs. T, returning to New York to see At Home at the Zoo on Wednesday. I fly to Houston first thing Thursday morning, and then we’re off and running. So far we’re ahead of schedule, and I mean to stay that way, having learned from hard experience that it’s always good to have an extra day or two tucked in your pocket. That’ll give me a chance to pop over to the Museum of Fine Arts and look at paintings, and to break bread with some old friends whom I haven’t seen for far too long. I look forward to returning to Houston after a nine-year absence—but I’ll be gladder still to come back home to Mrs. T.
Oh, yes: my niece Lauren, who lives in Houston, expects to have her first baby this week. I think I’ll take a night off while I’m in town and go see my grandniece!